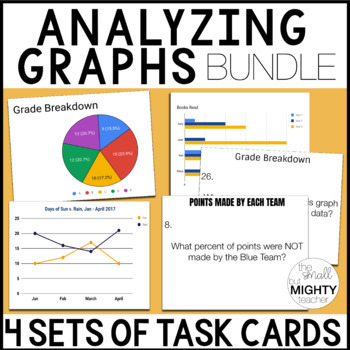 This printable includes 4 sets of task cards of task cards that relate to reading and interpreting graphs. 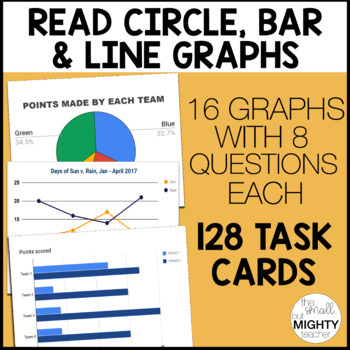 With this bundle you will have task cards on how to read: line graphs, bar graphs, circle graphs and a mixed graph set. Each set has 4 graphs, and each graph has 8 questions that relate to it-- task cards are clearly labeled for what graph they go to.